Lady Emma Barnard, The High Sheriff of West Sussex, has made it her aim to celebrate and affirm the quiet, un-sung heroes of our county. Amongst these are the wives and husbands of our clergy. We came together to celebrate their vital and often un-seen work in our communities with a pilgrimage at Chichester Cathedral. 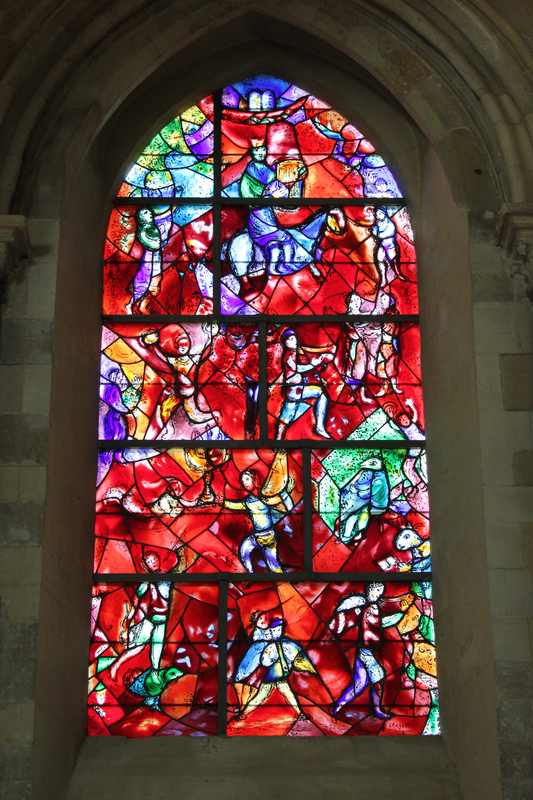 Chichester Cathedral has one of the most important collections of Modern British Art in the country. Winston Churchill’s last ecclesiastical appointment was to install Walter Hussey as Dean of Chichester Cathedral in 1955. 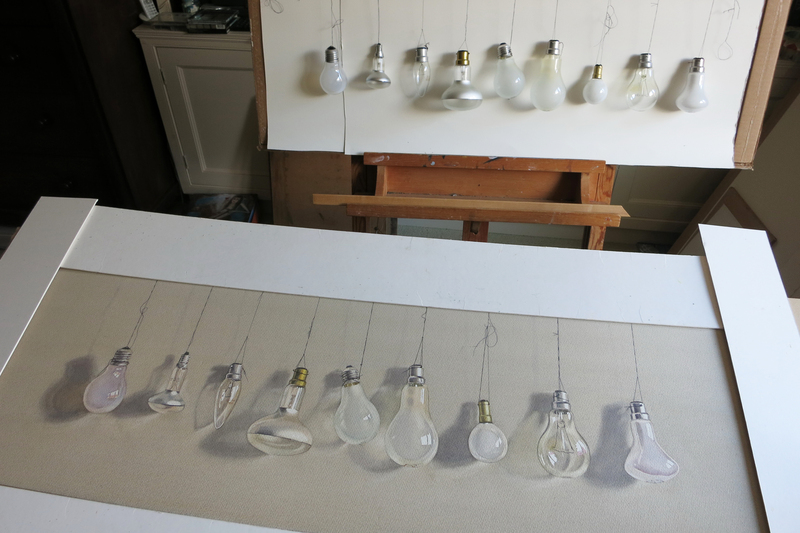 Hussey can be credited with commissioning most of the exemplary 20th century art found there. The works unite our human experiences with the life of Christ. Many of the artists were responding to the experience of a century of industrialised war as they sought to redefine our nation’s identity and re-articulate fresh hope in a New Jerusalem as first imagined in Sussex by William Blake. I was blessed to lead this pilgrimage through art supported by Andrew Bernardi, Jonathan Few and Maria Marchant. This exceptional group of musicians are amongst the finest in the country and had chosen pieces to reflect the art and its stories. As we journeyed together the threads of word and music were united with the Cathedral’s art providing a rich tapestry so that we were able to inhabit this sacred space and be moved by the stories represented. In the South Aisle is a remarkable and profoundly moving ancient carved stone panel. It depicts Jesus heartbroken having been told of the death of his dear friend Lazarus. In this moment of the story Jesus has not yet raised Lazarus from the dead. Jonathan Few had chosen Faure’s Elegy to accompany this carving. Jonathan brought an extraordinary emotional depth to his passionate rendition of the slow rise and fall of this poignant lament complimented by Maria’s sublime interpretation on piano. Many felt moved to pray in silence for those affected by the tragic Grenfell tower block fire in West London. 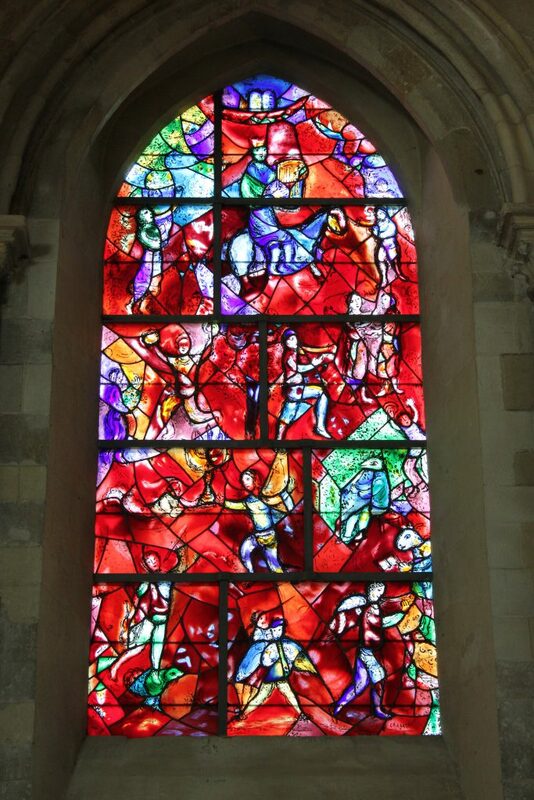 The Chagall window was born of a meeting between Walter Hussey and Marc Chagall at the artist’s home in S. Paul de Vence in 1977. Hussey had arrived late. His flight had been delayed by rain and he had difficulty finding their home in the dark. He was warmly welcomed by Mme Chagall. Chagall explained that he was having trouble getting started and asked for Hussey’s thoughts. Hussey suggested as inspiration the words of Psalm 150 which speaks of everything that breathes praising the Lord with music. The vignettes and colours that Chagall employs closely follows their conversation. As we reflected on this joyful scene Andrew and Maria played Olivier Messiaen’s exquisite Praise to the Immortality of Jesus from the Quartet for the End of Time. This final movement is slow and beautiful. The breadth of tone of Andrew Bernardi’s Stradivarius Violin and the richness of Maria Marchant’s piano seemed to rise heavenwards, united in praise to the Lord as, with perfect timing, the Cathedral Bells rang out. It was a blessed evening as we came together with Lady Emma Barnard to celebrate a remarkable group of people. The wives and husbands of Sussex clergy and their often un-seen contribution to the life of our local communities is deserving of our thanks. he Shipley Arts Festival’s remarkable program of music continued last weekend. The Knepp Castle concert, generously hosted by Sir Charles and Lady Issy Burrell, is always one of the highlights of the Sussex summer season. 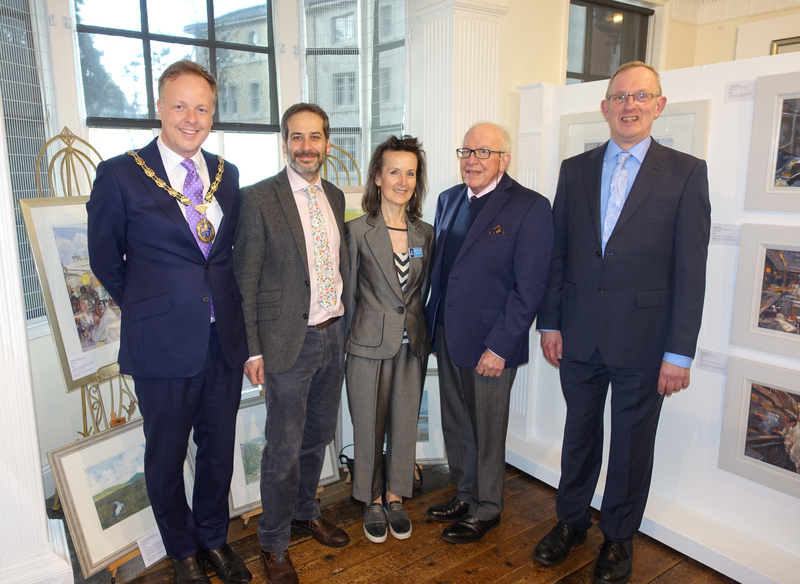 The concert was performed in the company of The High Sheriff of West Sussex, Lady Emma Barnard – artistic excellence, stewardship and community were affirmed and celebrated. 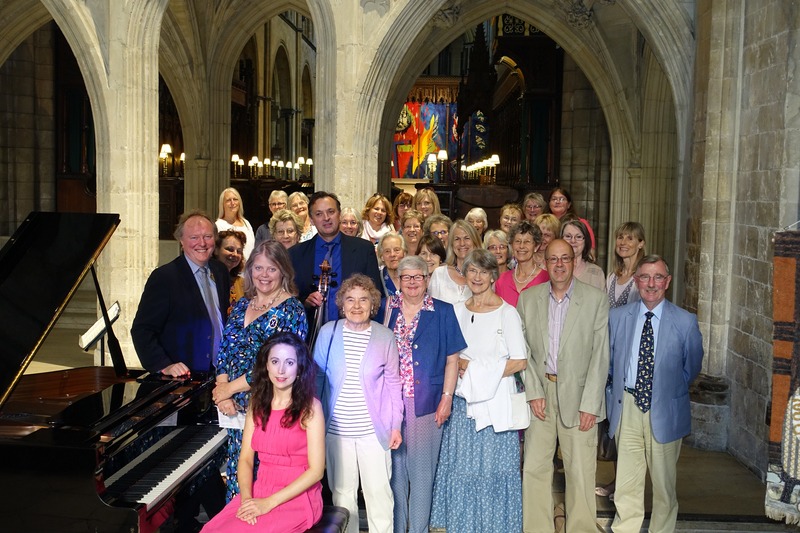 Honouring Knepp Castle and its Wilding project the concert was wittily interspersed with musical references to the Sussex countryside and nature celebrating the work of this important Sussex estate. Knepp’s re-wilding project uses large herbivores to drive habitat changes across the estate. The various cows, deer, horses and pigs affect the vegetation in different ways helping to create a patchwork quilt of habitats including: open grassland, regenerated scrub, bare ground and forested groves. The project is born out of Sir Charles and Lady Izzy Burrell’s desire to respond to the urgent need for nature conservation in Britain. The numbers of native species of flora and fauna, especially farmland birds, have plummeted over the past decades – theirs is vital stewardship. The Shipley Arts Festival’s growing national status is apparent in the commanding reputations and performances of the musicians who Andrew Bernardi brings together. This was apparent in the rendition of the Trout Quintet, also known as the Piano Quintet in A major, D. 667. It was composed in 1819 by Franz Schubert when he was just 22 years old. The original and complex harmonies of the piece were portrayed with a remarkable joy, intensity and passion by the pianist Maria Marchant, Andrew Bernardi, playing the 1696 Stradivarius violin, Virginia Slater, Viola and Gemma Murray, Double Bass. 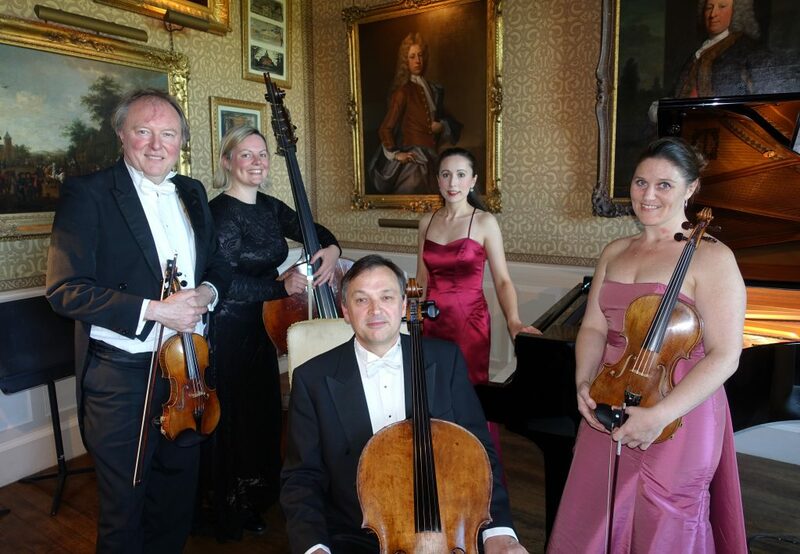 The work is considered to be uniquely sonorous amongst chamber works for piano and strings and was brought to life by their vivid performances. Last year the English operatic baritone and composer, Roderick Williams premiered his beautiful and profoundly moving ‘Goodwood Variations’ as part of the Shipley Arts Festival. It once again met with applause. Singers and founders of the British Pilgrimage Trust, Guy Hayward and Will Parsons were joined by Sam Lee. They had been on pilgrimage in the villages around Horsham to return to sing the folk song Turtle Dove to the colony of Turtle Doves which have re-established themselves at Knepp thanks to the re-wilding. Their performance of the piece spoke wonderfully of Sussex and delighted the audience. Pilgrimage reflects life. It is a journey of questioning, exploration and celebration. This was a remarkable evening of exemplary musical performances. As we accompanied Andrew Bernardi the musical journey transformed us allowing us to glimpse something of the world beyond our immediate perception. 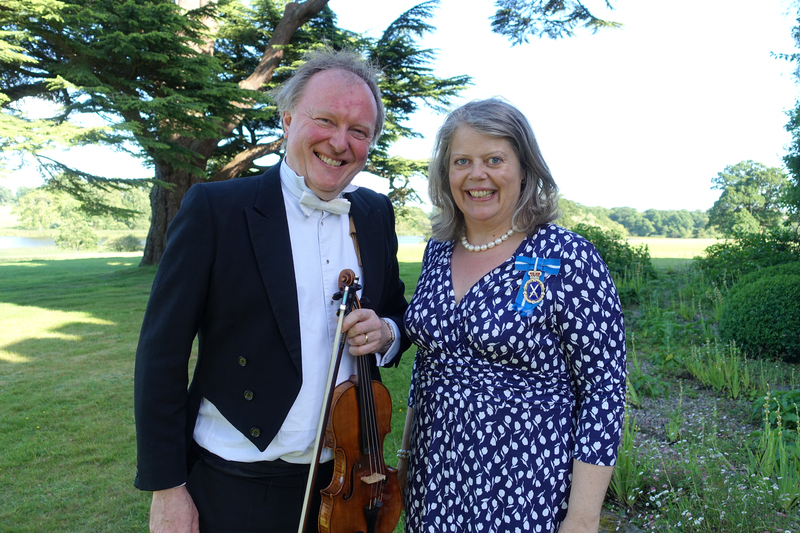 Thanks were rightly given to Sir Charles and Lady Issy Burrell, the gathered audience, the musicians, as well as the sponsors Toovey’s, Kreston Reeves and Henfield’s NFU Mutual Agency. But most of all our thanks should go to a most gifted and generous musician, Andrew Bernardi, whose passion, hard work, generosity of spirit and vision continues to bless Sussex. 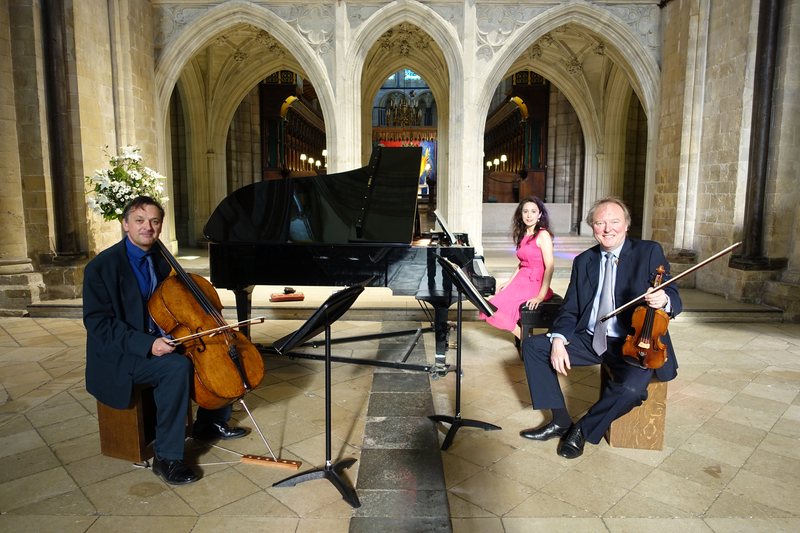 For more information on the forthcoming Shipley Arts Festival concerts go to www.bmglive.com. Tickets are on sale at The Capitol, Horsham box office. Telephone 01403 750220 or go to www.thecapitolhorsham.com. Demand for tickets is always high so don’t delay! To explore Knepp’s re-wilding project go to www.kneppsafaris.co.uk or telephone 07739 083650. 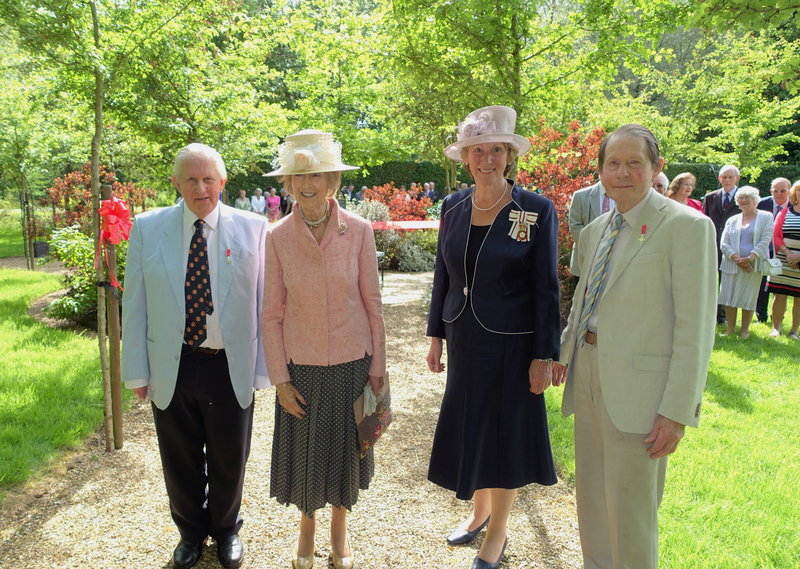 It is a bright early Summer afternoon as Her Royal Highness Princess Alexandra of Kent opens the new King’s Garden in the company of the Lord Lieutenant of West Sussex, Susan Pyper, Peter Thorogood, Roger Linton and the volunteers at St Mary’s House and Gardens, Bramber. Heritage, hard work and community are affirmed and celebrated. 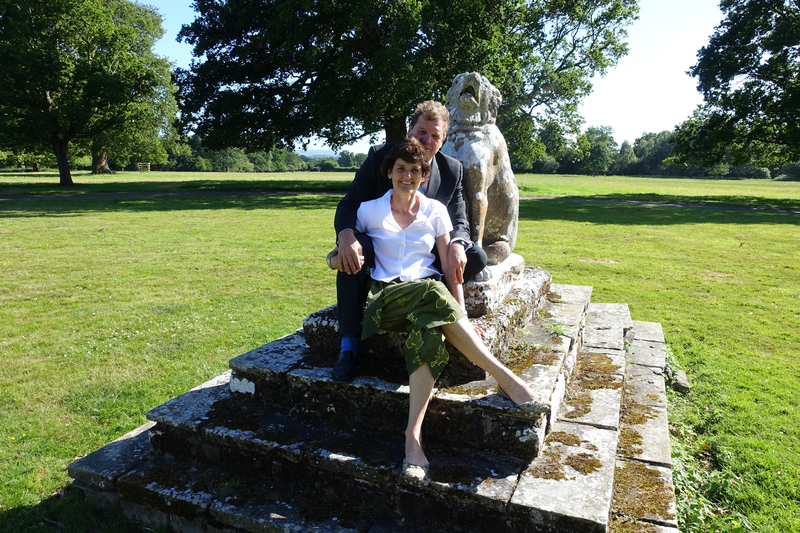 Peter Thorogood., MBE and Roger Linton., MBE, bought the house and gardens in 1984. Their passion for this wonderful place is infectious. They have created and gathered a community of people around the house and gardens. This team of volunteers have also offered their resources, time and talents to the repair, restoration and maintenance of this important house and garden. Peter Thorogood has just celebrated his 90th birthday. I offer my congratulations on his birthday and work at St Mary’s. He responds self-effacingly noting the “hard work of the volunteers” and the camaraderie of all who have been involved in the house and gardens. These sentiments are echoed by Roger Linton who reflects upon how he gains such “pleasure from their pleasure”. Whilst we await the arrival of the Princess I join the volunteers in the tea rooms. The great affection in which they hold Peter and Roger quickly becomes apparent. They clearly value the friendships and sense of community which underpins the work of St Mary’s. HRH Princess Alexandra is shown around the house and gardens. 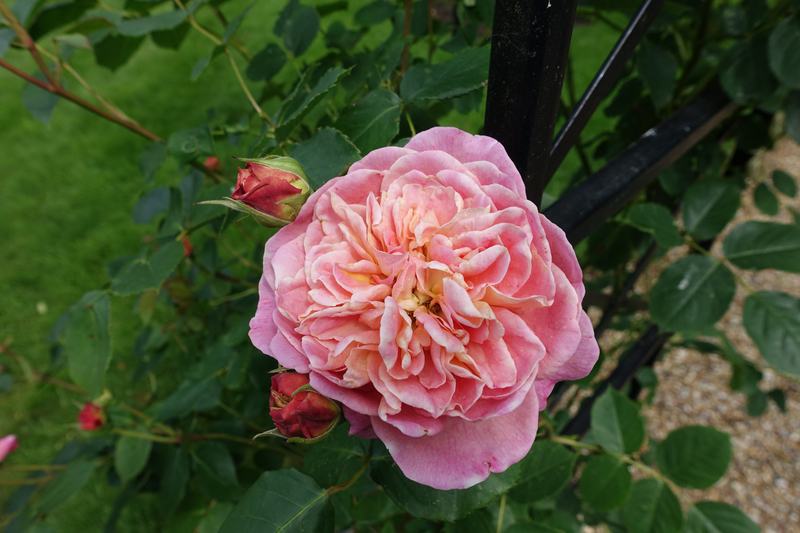 She pauses in the Jubilee Garden to admire the Princess Alexandra of Kent roses and the Acer palmatum shindeshojo which has been planted to mark her visit. The King’s Garden also shares a royal theme and has been designed by Roger Linton to commemorate Prince Charles, later Charles II’s escape through Bramber village to Brighton and then to Shoreham from where he would sail into exile in France. It is said that Charles eluded the Parliamentarian forces at both Houghton and Bramber by disguising himself as Colonel George Gunter’s servant and leading his horse. At the heart of The King’s Garden is a sapling oak whose lineage goes back to the famous Boscobel Oak in which Charles II hid after the Battle of Worcester in 1651. St Mary’s House and Gardens has a vital and continuing role in our community. Its story encompasses and tells the story of our county’s place in the history of our nation. 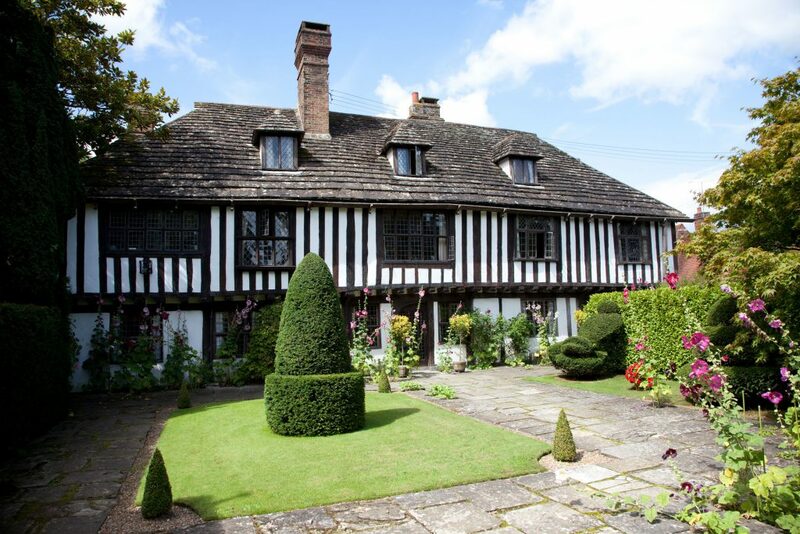 The vision, dedication, hard work and generosity of Peter Thorogood and Roger Linton has permanently written their names into the story and history of this grand old house and her gardens. These generous custodians have always wanted to share St Mary’s with others and it is their intention that St Mary’s will remain accessible and at the heart of the local community for future generations. St Mary’s House and Gardens, The Street, Bramber, BN44 3WE, are open to the public for the 2017 season. For further details of opening times, concerts and events visit www.stmarysbramber.co.uk or telephone 01903 816205.